Yet Another Personalised Phone Case! If you’ve been reading my blog for a while, you’ll know that I’ve had a fair few personalised phone cases. 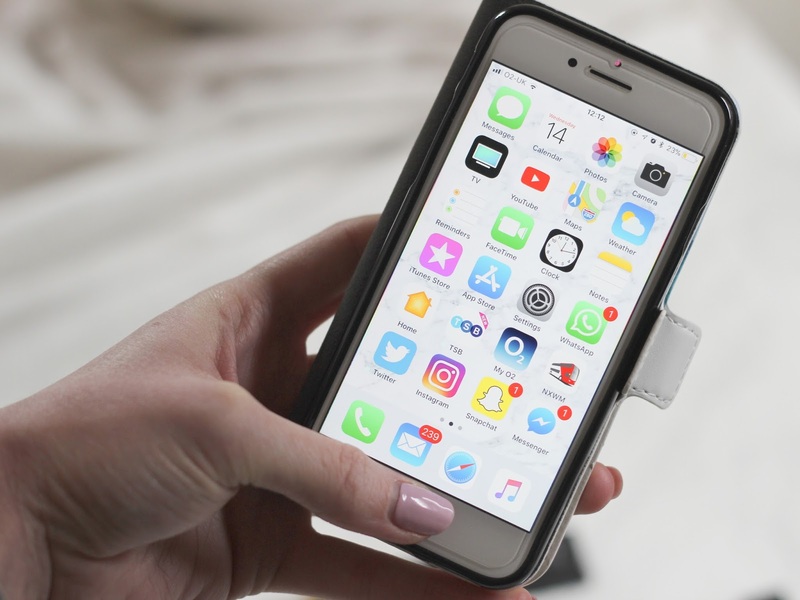 I think photos are so important, and I do love having photos that I’ve taken or photos taken of me and people in my life on my phone case, meaning that they are carried around with me always. My Personalised Case got in touch with me and asked if I’d like to review one of their personalised phone cases, and obviously I said yes. I picked the wallet case for my iPhone 7 from My Personalised Case. 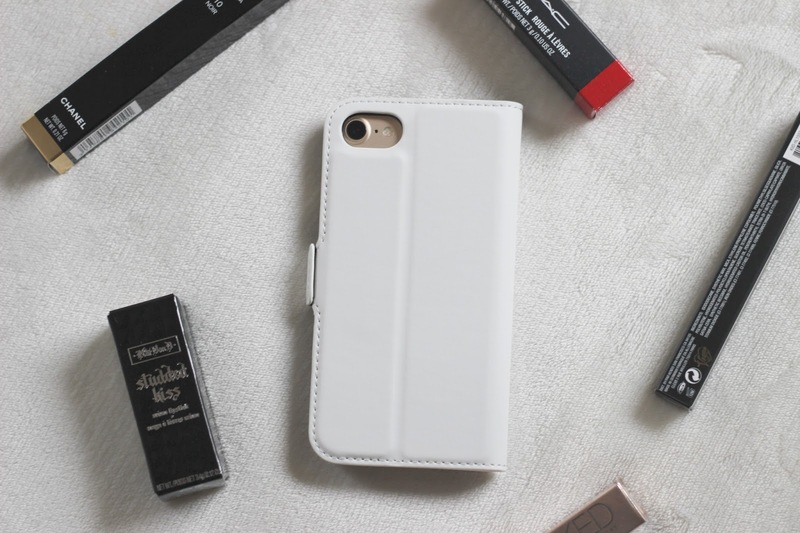 I usually go for silicone cases or hard cases, but something I was missing in my phone case ‘wardrobe’ was a wallet case – which I thought would be great for on holiday or in my clutch bag on a night out. Wallet cases are perfect for protecting your screen and also keeping a few cards in in case you don’t want to take your purse out with you. I chose to put my own photo of the beach when I went on holiday to Cape Verde, it looks so peaceful and relaxing. The case feels such high quality, which is great as I know my phone is well protected in it. 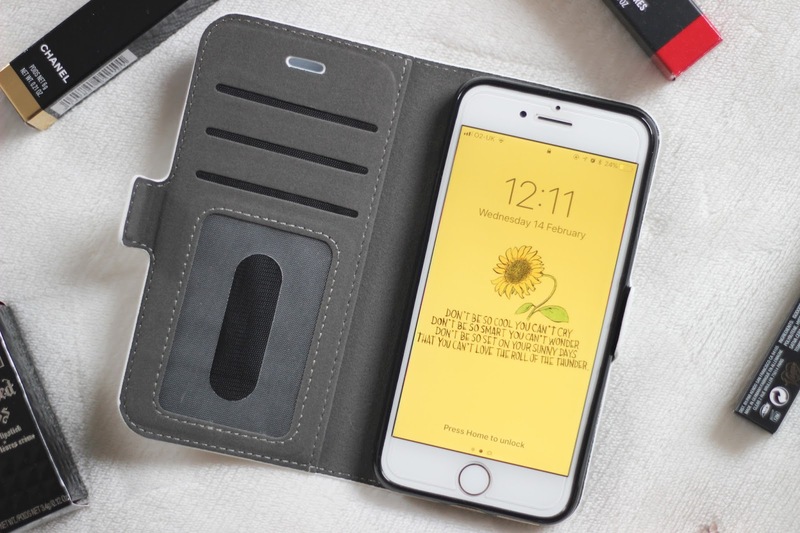 My Personalised Case is such an easy website to navigate to make your own phone case, they offer so many different makes and models and the design process is so simple. 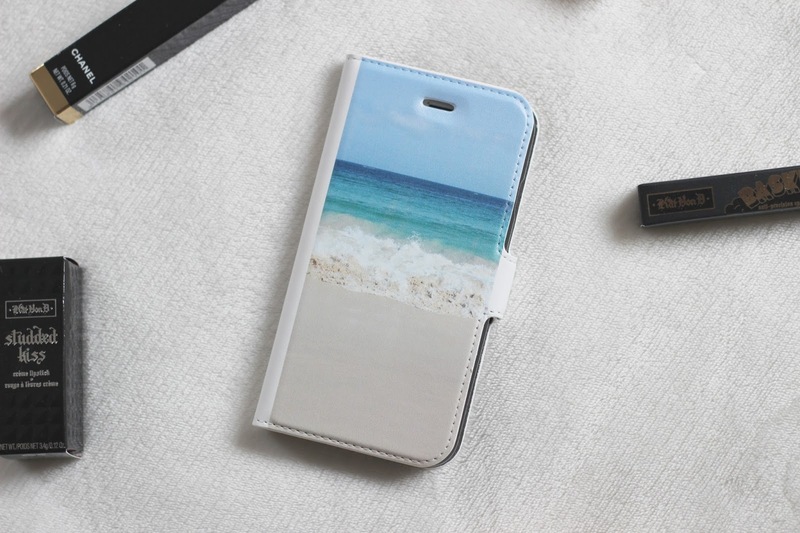 You can personalise a case with photos and pick a layout for them, you can also pick text and stickers. 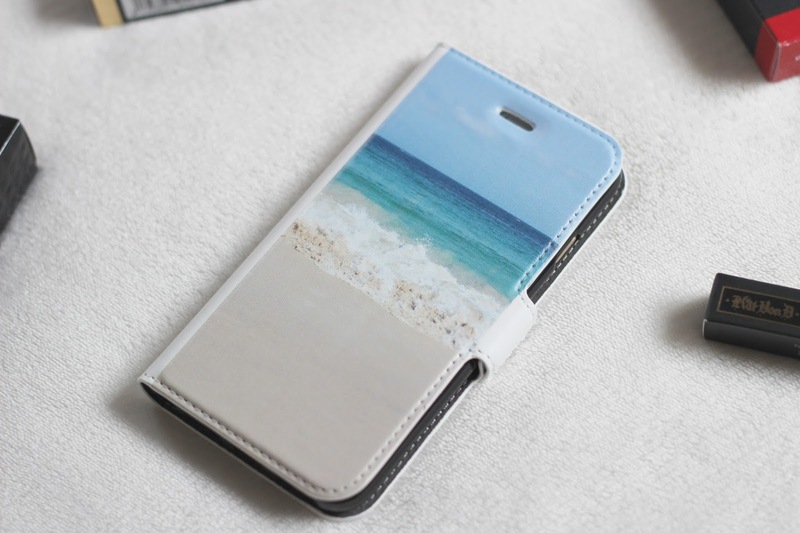 I think next time for a landscape image like this one I’d pick a full wallet case, so the image would wrap around. Do you like the idea of a personalised phone case?